When it came to Facebook and Twitter, it took brands a while to figure out how to take advantage of the social networks. With Foursquare, they have been much faster. 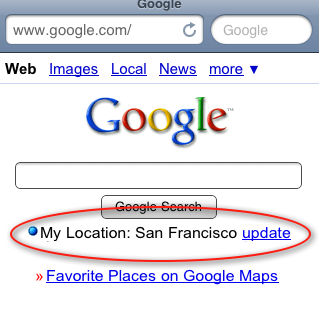 But now with Google Buzz, they’re beating plenty of early adopters to it. 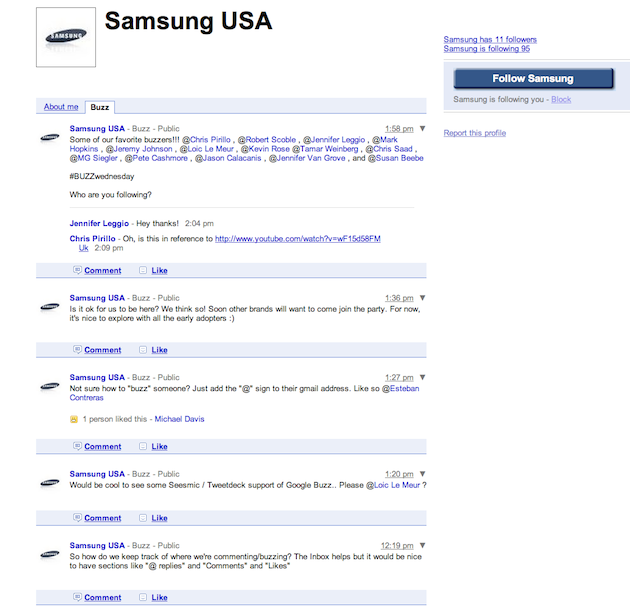 Samsung has already set up a Google Buzz account this morning and is already cranking out buzzes. Not only that, but they’re apparently trying to start their own trends on the service, as they have today tagged a bunch of their “favorite buzzers” and tagged the buzz with “#BUZZwednesday.” Of course, the problem here is that Google Buzz doesn’t support the “#” symbol the same way Twitter does (at least not yet). Still, you can search Buzz (right from within Gmail) for the term “#BUZZwednesday” and Samsung’s buzz will appear. Of course, what’s annoying about the Buzz tagging mechanism is that it automatically sends these message to your Gmail inbox if you’re mentioned in one. Hope everyone is ready for an onslaught of brands on the service! Need I remind you that Google Buzz just launched yesterday? For the record, I think it’s smart for brands to hop on these services early — it’s just Samsung doing it’s job. But I think we can all see how this will get annoying quickly. Update 2: And Samsung adds: “We agree that messages going to Inbox is not ideal. We need an @reply and DM section. Maybe even a comments, likes, and favorite sections.” A good idea, I think.